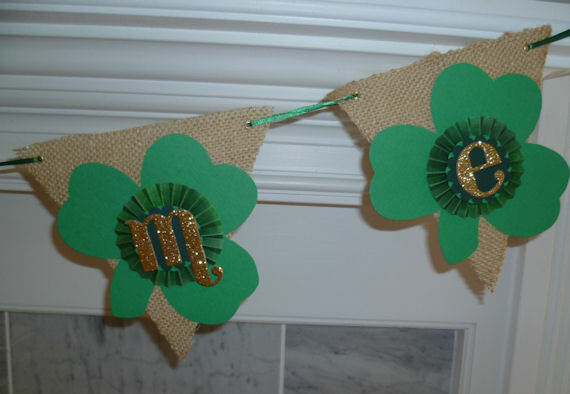 Jen's Uncharted Territory: St. Patty's Day.... wait for it... BANNER! St. Patty's Day.... wait for it... BANNER! Actually, I no longer have this. We're not big St. Patty's Day folks so while I put green candles on the mantel, that's about the extent of it. I may fix some green food but really, that's it. 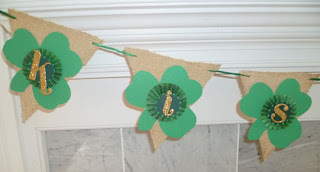 However, back when I posted another banner, Christmas maybe, a good friend posted back, asking when she'd see her St. Patty's Day banner, ;) So, while I don't think she's expecting it, it's on its way to NJ. Hope you enjoy it Jodi! Hope you have been kissed. Thank you for playing with us at Craft your Passion. Pastel... quilt... kites... not sure. GHWI Challenge #17, Things with Wings!